I wasn't expecting my first post for the Lunar New Year to be non-showbiz related but this is just too funny. This time of the year typically marks an annual rush to get home for the holidays in countries that celebrate the occasion and a woman was traveling last Sunday at a railway station in Guangdong, China presumably to do just that. 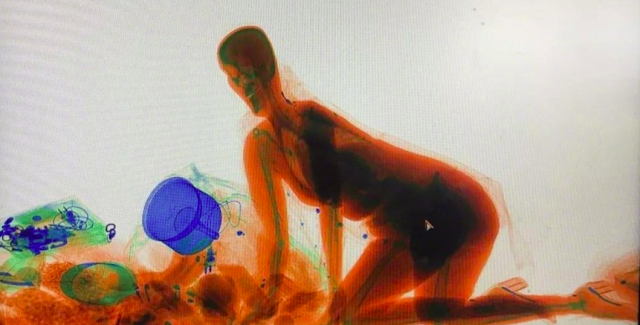 After failing to go through security with her bag, the lady who was forced to put her items through the scanners decided to go through the x-ray machine herself as she refused to part with her bag. Hence, resulting in this bizarre picture of a woman on all fours amongst the luggages. 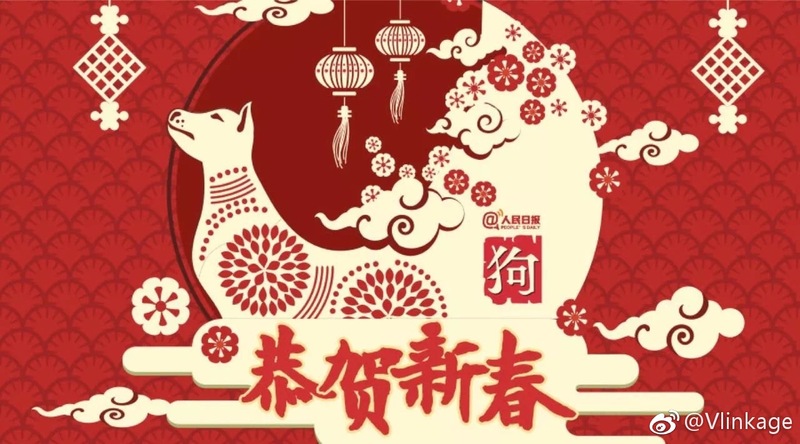 Last but certainly not the least, today marks the beginning of the Year of the Dog and I wish everyone a happy and prosperous new year! That's real???!!! I can't believe she went through the scanners LOL!